Need to get rid of Metallic Wood Boring Beetles? What is a Metallic Wood Boring Beetle? The Metallic Wood Boring Beetle is from the large family of beetles that attack trees and woody plants, including grasses. The Adult Beetles are flattened and some are characterized by brilliant, metallic colors with varying degrees of iridescence. Most of the wood boring beetles attack weak, dead, dying, diseased, drought-stressed, fire-burnt, felled trees and dead branches on healthy trees. The larvae are long and legless. What does a Metallic Wood Boring Beetle Look Like? They have small heads, the thorax is much bigger – they’re known as flat head borers. The larvae first tunnel in the trunk, branches, and roots. They create flattened oval tunnels which are tightly packed with frass. The development from egg to adult can take many years. 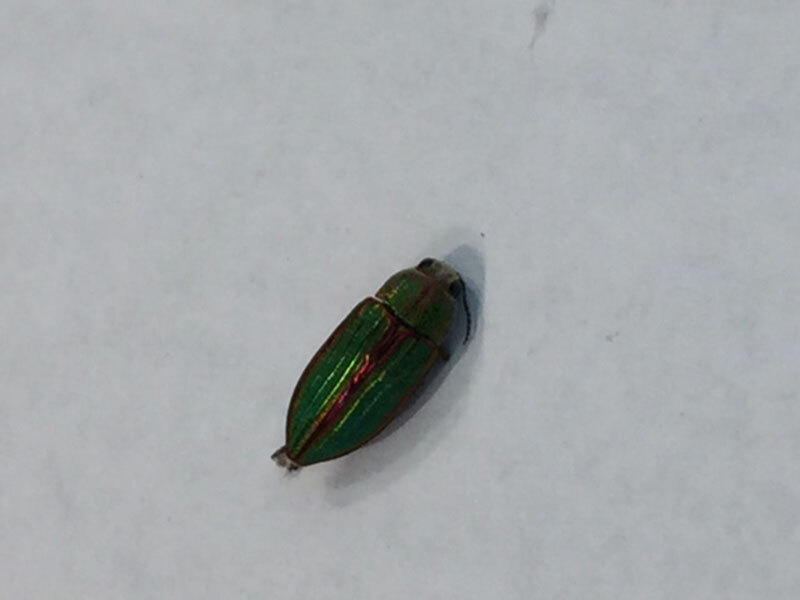 If you have an issue with Metallic Wood Boring Beetles and want additional information, please call our office for prevention and treatment options.